This volume is two books in one. 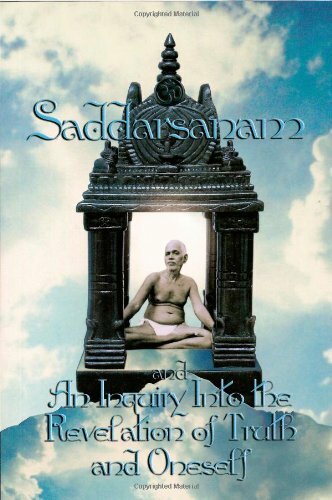 It contains the Sanskrit text and transliteration of Sri Ramana Maharshi’s Saddarsanam (Truth Revealed) with Nome’s English translation, and it contains Nome’s detailed spoken commentary on the Maharshi’s text, which is derived from the combination of the transcripts of two Truth Revealed retreats held at the SAT temple. The translation includes numerous alternative interpretations. The “Inquiry into the Revelation of Truth and Oneself” explains the profound, nondual meaning, phrase by phrase, and includes dialogues answering a plethora of spiritual questions pertaining to Self-inquiry and Self-Knowledge.